I bought this Kevyn Aucoin Contour brush a couple of years ago in one of my "I will start contouring and find my cheekbones once and for all" feats. I'm still not a huge fan of the technique for everyday life (and my cheekbones never fully emerged, either) but that's not what we're here for. 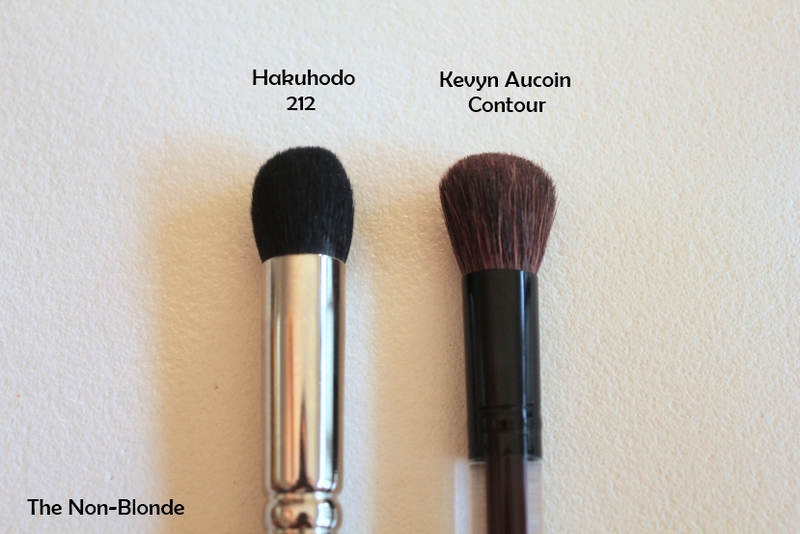 Let's start with the good news: Kevyn Aucoin Contour brush is a good tool for learning how to contour your nose. The bad news is that it's quite useless for anything else. There are three problems with this brush: size, shape and hair quality. A contour brush for one's face has to fit in what would have been the hollow of the cheek (if you actually had one). It should be able to create that coveted natural looking shade and blend it seamlessly with your other face makeup so at least in photographs it doesn't look like a smudge of dirt or 80s style makeup. If the brush is as narrow as the Kevyn Aucoin is, you will have a very hard time making the shadow look believable. This brush is shaped like a broom or a prism or whatever you want to call it, and it's too small. 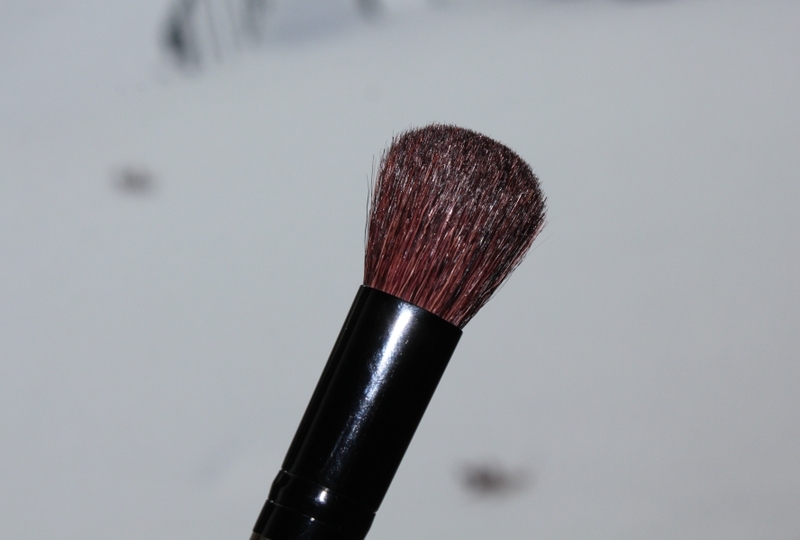 A good contour brush is usually sized and shaped like a small blush brush, not an oversized eye shadow one. In fact, most small blush brushes can contour if they're firm enough (floppy just won't do in this case). This brush isn't doing much for highlighting, either, because the relatively wide bottom isn't diffusing and blending as it should. This contour brush does fit nicely on the side of the nose, thus can help one (=me) convince herself her nose is not that misshaped. I'm thankful for that. The other issue is that the Kevyn Aucoin contour brush doesn't feel so good on the skin. It's not horrible or scratchy, but it's not high quality soft hair, either. And, frankly, for $40 it really (REALLY!) should be. 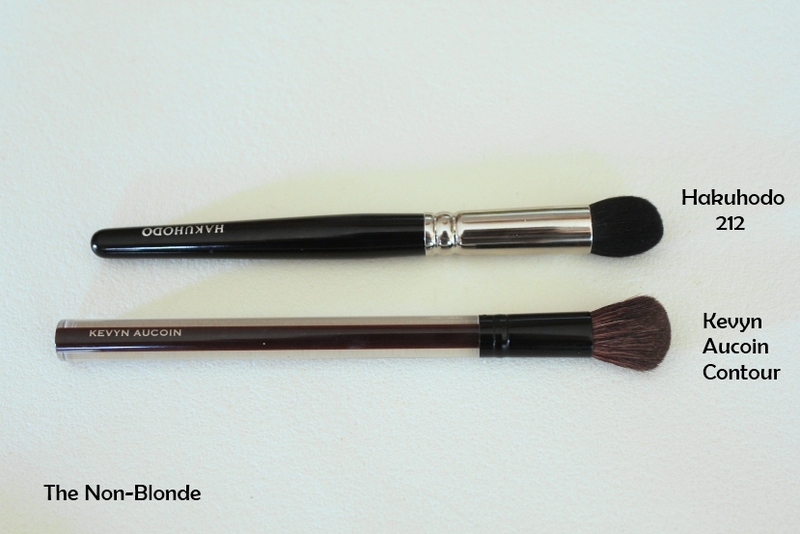 The brush I put here for comparison is Hakuhodo 212. 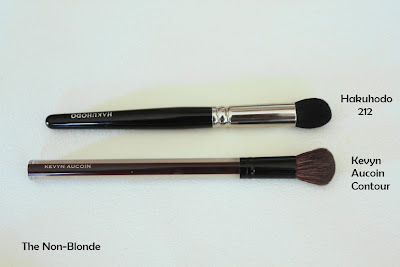 It's a highlighting brush that can also contour the side of the nose, eyes and if you insist, also the cheeks because it's so rounded and does a spectacular job blending (I still prefer the S103 or even better, the 210). The Hakuhodo brush is so soft one might mistake it for a super pricey tool, but it only costs $20. 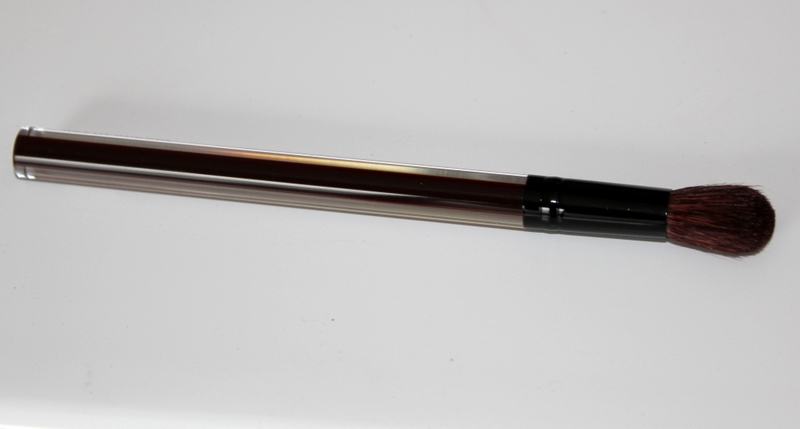 Thus, I'm not really sure what we're paying for when buying this sub-par Kevyn Aucoin brush. 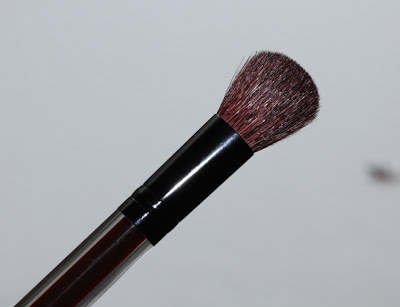 Kevyn Aucoin Contour Brush ($40) is available from Barneys, Bergdorf Goodman and several online retailers. First off, I've met you at high noon on a bright New York day and your nose is fine. It's a nose. It has character and hauteur. You can look over it at people with a raised eyebrow and strike fear or look up from it with your melting caramel eyes and elicit.. other reactions. And a plastic surgeon I spoke to years ago was trying to talk everyone in coming to his office out of sucking the fat from their cheeks, since it will happen naturally far sooner than one would like. Now it's all about the filler. I'd like to have some plumpness moved around myself.. Maybe I can auction it off on eBay.. I bought the KA concealer brush. It works really well and doubles as an eyeliner but that gel inside the handle partially disappeared so it looks awful now. I also felt the other KA brushes in the store but don't feel the prices they charge for the brushes are worth it, unlike Hakuhodo brushes. 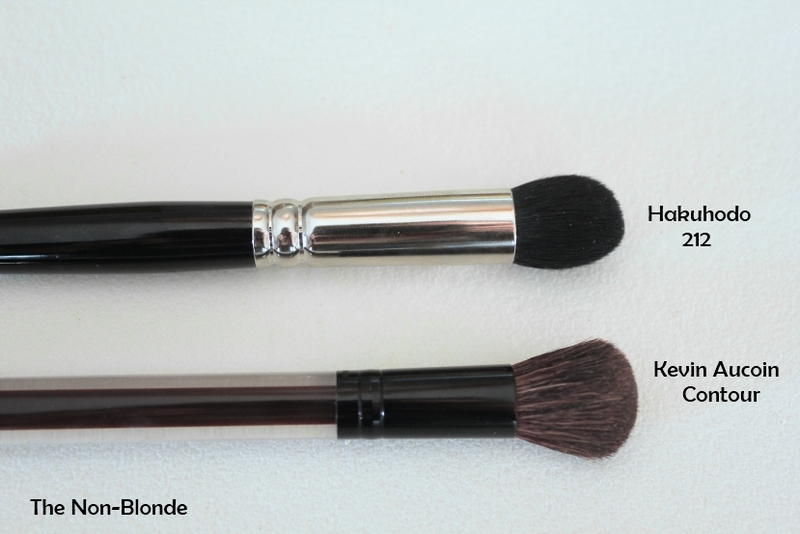 I love the HKD 212 & 214 for buffing/blurring eyeshadow lines, undereye concealer, contouring, you name it, so versatile!